In this tutorial our partners at VirginGaming.com show you the three different ways to cross the ball in FIFA 12 to really help you maximise the benefits of crossing. When gamers mention crossing the ball, they typically only consider the far post cross that leads to many header goals. While this tactic is a useful way to score goals, expand your horizons and learn all three types of crosses — you’ll never know when you’re going to need to pull one of them from your bag of tricks. Be sure to check out VirginGaming.com‘s video. 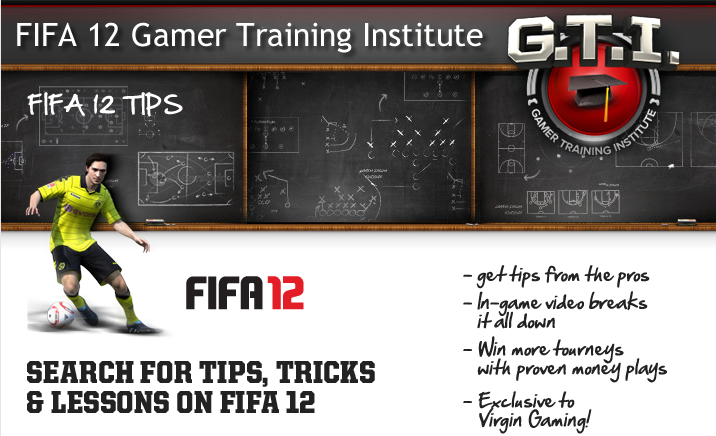 And log in to VirginGaming.com to find more FIFA 12 tips in their Gamer Training Institute!